The merchant account and payment processing industry in the UK makes it very difficult to compare rates & fees. In terms of fees, you basically have two approaches. The first are variable rates and fees based on card type, business type, transaction volume, etc. These tend to come from established merchant account and payment processing companies. For businesses processing decent volumes of transactions, they almost always work to be cheaper than the second type. The second approach is charging much higher flat fees in a very transparent manner. For many small businesses these companies can work out to be better simply because they generally do not require a contract. Here are some sample cost comparisons to help illustrate. * Merchant account fees vary really widely from provider to provider. In the example above, we’ve used NetPay’s best rates to illustrate how little you could be paying. You can get a quote for your business from them here or compare a ange of providers using our free quote from here. Want to know how much money you get to keep? We’ll look at three examples below to illustrate. 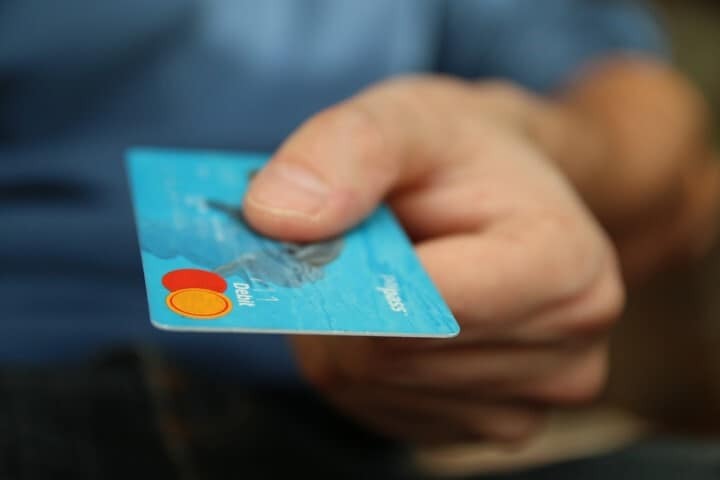 However, before we do it’s important to know that according to the UK Cards Association roughly 70% of card payments in the UK come from debit cards and 30% from credit cards. While this isn’t important for you if you’re using a payment company that charges a flat fee, it makes a big difference if you use a company that charges lower rate for debit cards than credit cards. Now keep in mind that this assumes you get the best rates offered by your UK merchant account provider. Not all providers are created equal and comparing rates can be slightly difficult. Why is it difficult to compare UK merchant accounts? There are both good and bad reasons for this. The bad is that transparency is often not good for business. How do you know if you’re getting a good deal, when you’re not sure how much you would have been charged with someone else? However, this is not the only reason why UK merchant account providers don’t advertise their fees. The fact is that different businesses and business owners carry different levels of risk. If you have no credit or bad credit you may be charged a premium. Similarly, if you’re business is considered risky (e.g. gambling, travel, etc.) you may also be charged a higher rate that corresponds to the higher risk of chargebacks. While this may seem unfair, card processing companies spend a lot of time and money assessing risks and if you want to accept cards, you have to play by their rules. Given that no two customers and no two businesses are going to be charged the exact same rate, how can you make a fair comparison? Not all credit card processing companies offer the same services. Some will just offer merchant accounts while others will offer complimentary add on services as part of their packages. If you require these additional services be sure to ask if they’re included and if not, how much they’ll cost to get an accurate picture. If you’re handling card transactions in the UK you have to make sure that you’re PCI DSS compliant. Most good merchant account providers will make this easy for you. The lowest level offered is 4 and the highest is 1. So if you want to be safe you may want to opt for a supplier that offers the top tier compliance levels. There are few worse feelings than selling to someone only to find out that their payment was made fraudulently. If you don’t have measures in place to prevent this, you could be left on the hook for hundreds or maybe even thousands of pounds. This is how long you agree to stick with a given payment processing company before you can switch. Want to leave early? You’ll likely be charged a fee. If you’re accepting cards you want to make sure you can accept as many as possible. Most merchant accounts in the UK will accept UK debit cards along with Visa and Mastercard credit cards. However, if you run a business in a tourist heavy area or want to sell online you may want to accept American Express, Discover card and/or other foreign credit cards. However be aware that payments via these cards may incur higher charges than domestic cards. Last, but certainly not least, are account fees. Most merchant accounts come with a whole range of fees depending on how you process transactions and from whom. Here are just a few of the fees you need to be aware of. Many different merchant providers charge different rates to process cards in person (retail), over the phone and online. Here are typical fees for accepting cards online. Monthly Account Fees: Some merchant banks and providers charge you just to have an account each month. Range anywhere from nothing to £99 a month. Monthly Minimum Fees: Basically if you don’t do a certain volume of transactions each month you have to pay this fee (basically a penalty for doing poorly). Ranges from nothing to £50 a month. Set-up Fee: Some suppliers will set-up your account for free, whereas others charge you for the privilege. Make sure you know how you’ll be accepting payment; including both the types of cards and how they will be processed. This is the only way to make an accurate comparison of fees. Make sure you can give at least a rough estimate on the volume and value of your card transactions. The more you process the lower your fee per transaction. Make sure you know what category your business falls under. High-risk businesses may have difficulty getting a merchant account and/or pay high fees when they do get one. Know the merchant services you really need. Don’t pay for things you don’t need. Finally have a system in place for handling customer data. Data breaches can be incredibly expensive and you may be able to get a lower rate if you have a robust system in place to prevent this.